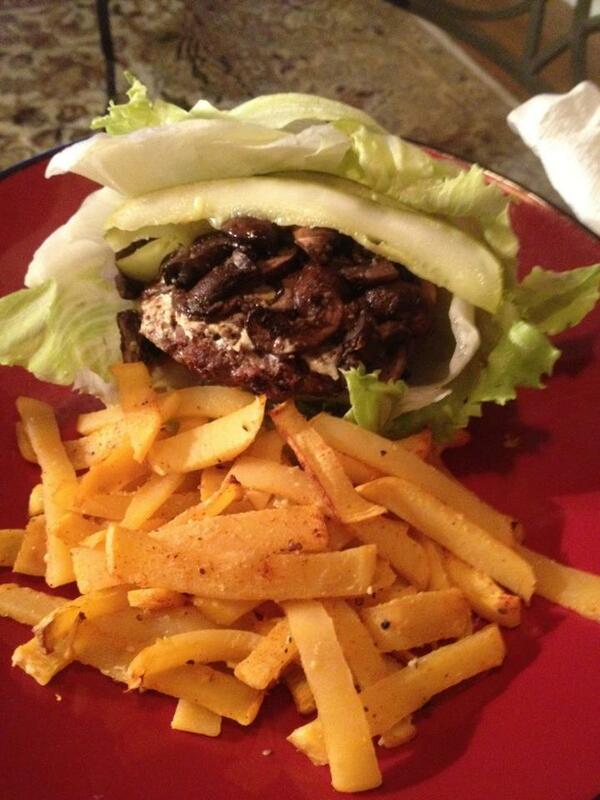 Lettuce Wrapped Beef Burger w/ Rutabaga Fries – Ideal Protein APPROVED! We’ve been meaning to make rutabaga fries since we first heard about them, and I had been craving a big juicy burger, extra lean of course 😉 So tonight was the night to make this MARVELOUS MEAL! Mix all together in a bowl, and make 3-4 patties. BBQ on grill until desired wellness/done-ness. Mix rutabaga with all ingredients and let marinate. Lay rutabaga in a single layer on a baking sheet and cook at 425* for 25 minutes. NOTE: For all of those who have never eaten rutabaga before, it is definitely a different kind of taste and flavor. Both Mike and I were hoping it would taste more like potatoes (naturally 😉 hehe)… It has a very bitter and peppery flavor to it, and a little more soggy texture than your typical french fry. Rutabaga definitely isn’t one of our FAVORITE vegetables, but we would HIGHLY recommend you try it for yourself. Everyone’s palate is different. Dr. Tarjoman’s Day 14 – 15lbs DOWN! DAY 7: Dr. T’s Testimonial – DON’T GET DISCOURAGED!! !